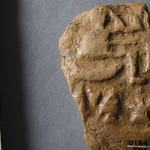 Includes painted pottery; obsidian chips and obsidian vase; 3 clay copies of shell bugle beads; seal impressions on clay jar sealings; animal figure; handles; sickle. 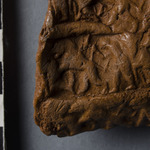 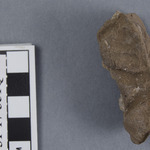 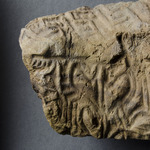 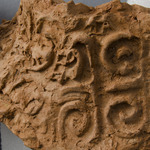 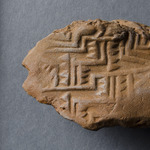 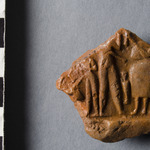 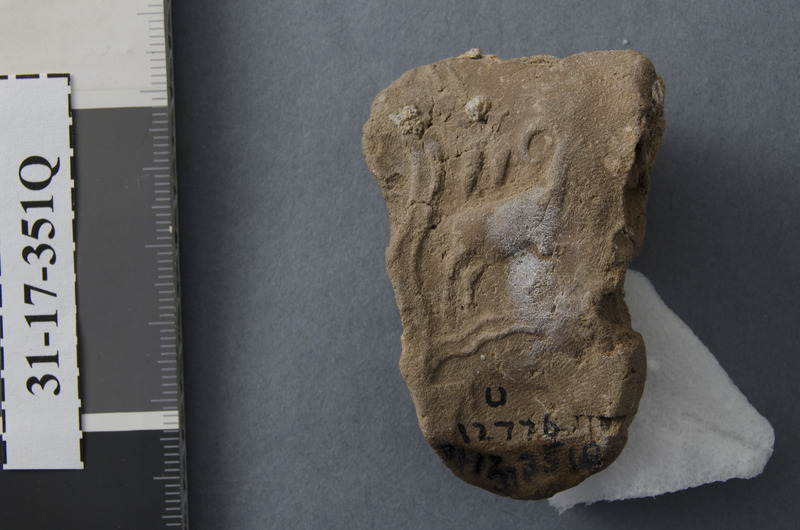 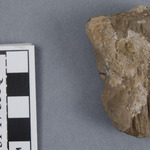 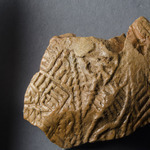 2015 description: Clay sealing fragment with an impression of an ibex (?). 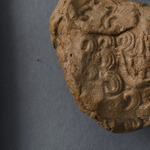 The verso has string impressions.